Buying a two-wheeler and inviting the risk of extra expenditures by not going for the insurance is what most of the people did few years back. But now, the motor authority of India has made it mandatory to get the two-wheeler insured at the time of purchase. Suppose, you have purchased a Yamaha Fascino Scooter, the dealer from whom you are purchasing it will get the insurance done for you. The insurance amount will be added in your bill for the scooter. After the expiry of insurance policy, it is up to you whether you wish to renew it or not. 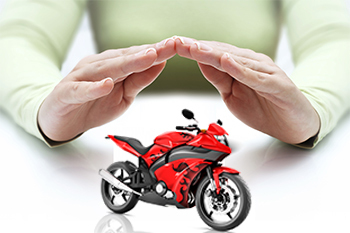 Why to get your two-Wheeler insured? According to a survey conducted, around 80 percent of the two-wheelers running on the Indian roads are not insured. Most of the people whose two-wheeler insurance policy has expired don’t renew it. The vehicle keeps on running on the roads without any risk cover. If you are one of such careless freak then here are some of the reasons to get your two-wheeler insured. According to the Motor Act, it is mandatory to get your vehicle insured. Breaking this rule can lead to heavy penalties. The penalties can be as high as 2000 INR in India. If you are caught by police, you need to have four major proofs – the driving license, the registration certificate of the vehicle, pollution, and the insurance policy. Beware! Do not miss out on anything. If you miss out, be ready to be penalized. Though you are a safe driver, but still there are many on the roads who are not safe driver as you. There are chances that one of them might collide with you. The insurance policy comes to your rescue in such a situation. You are protected with a certain amount by the policy you opt for. There are plans that will protect the third party as well as the person sitting behind you. You need to choose your insurance plan wisely to get maximum benefit out of it. So in case, your Yamaha Fascino scooter collides with some other vehicle, you are still safe. The insurance policy will give you a certain cover for the money spent on your treatment in case of any injury. But this doesn’t mean that you have the license to drive on the roads rashly without caring about others. If you are caught driving rashly, there are heavy penalties that can even lead you to jail too. If an accident occurs, it is not only the person who can get injured, most of the times the vehicle has to go through lot of damage. To fix the damage, you require spending enough money. The impact of damage may be large or it might be a small damage. But, you need not worry if you have the insurance policy providing risk cover for damage to the vehicle. The insurer will bear the cost of damage foresaid in the policy. If you own a two-wheeler insurance is must. You should renew your insurance to stay protected against the mishaps that may happen while driving. You will surely not want to pay access of hospital bills just to save few bits of money to insure your two-wheeler. The insurance policy has been made mandatory for the people purchasing new vehicle, but the people should also renew the policy after its complete term. They will only be benefitted by the policy in case of any mishaps. Take a wise step ahead.